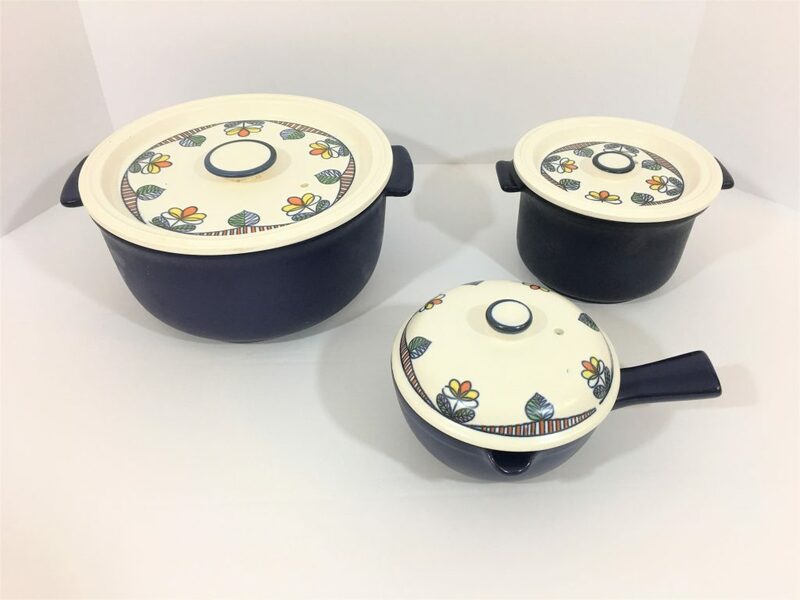 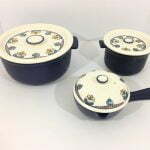 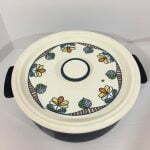 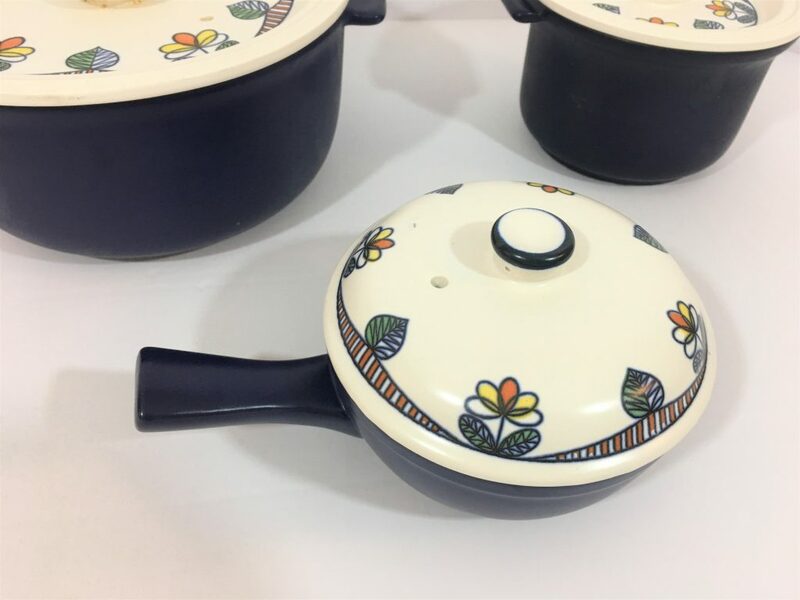 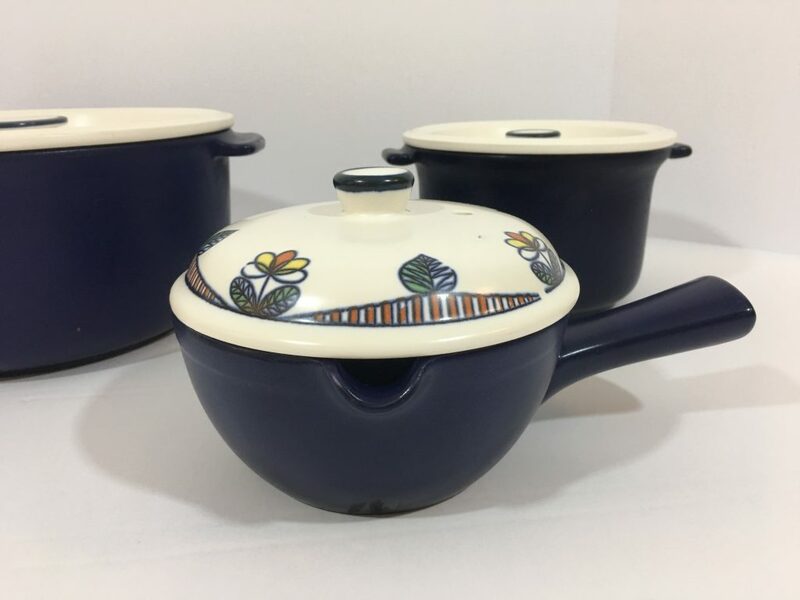 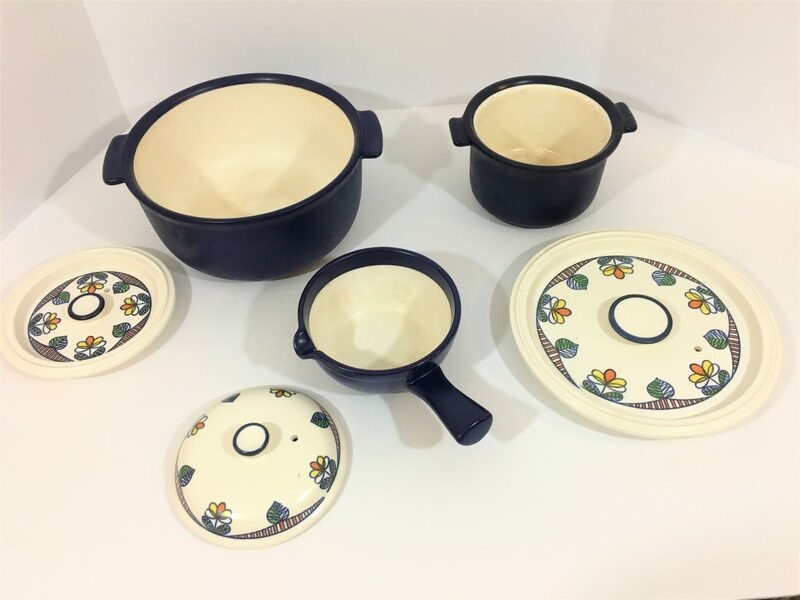 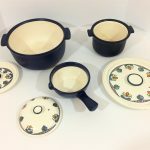 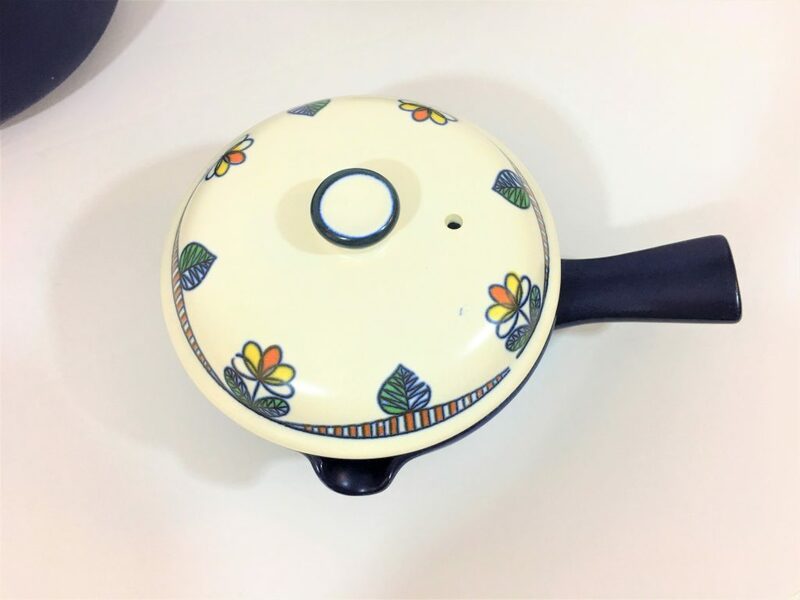 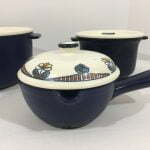 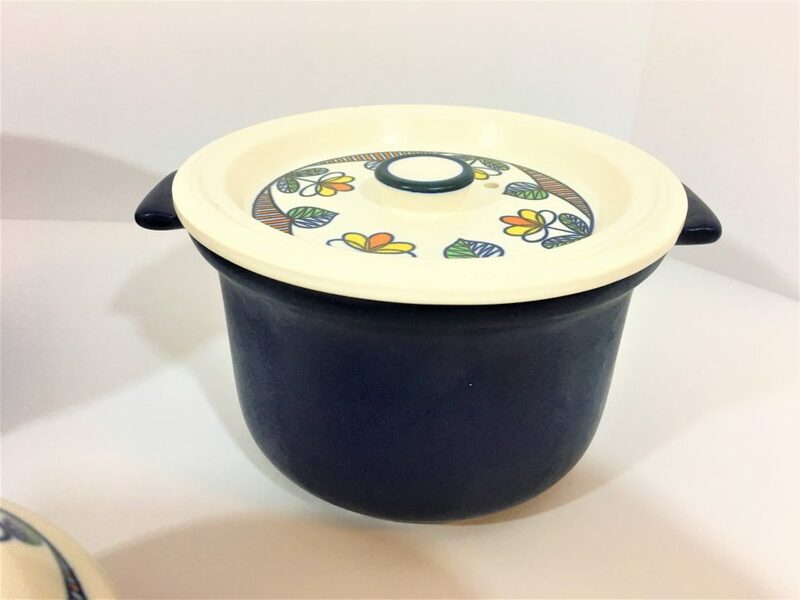 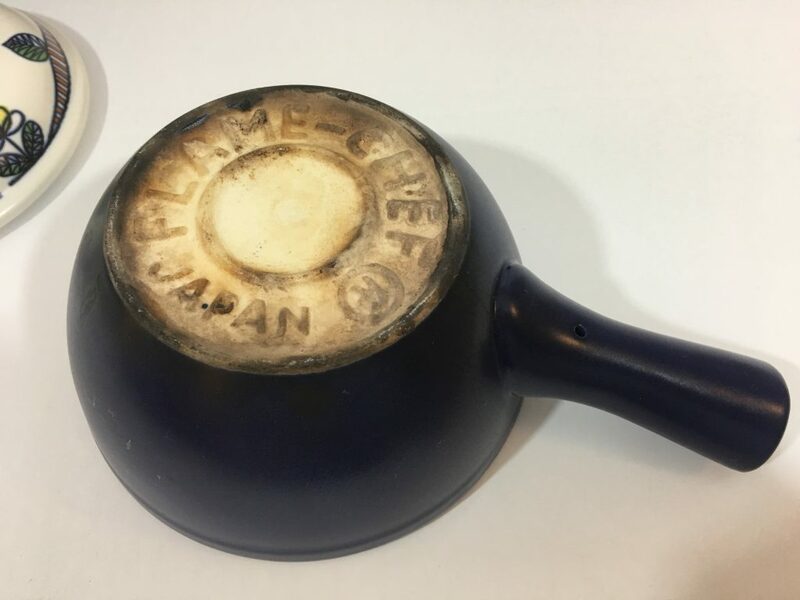 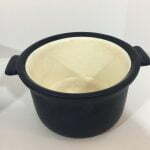 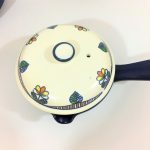 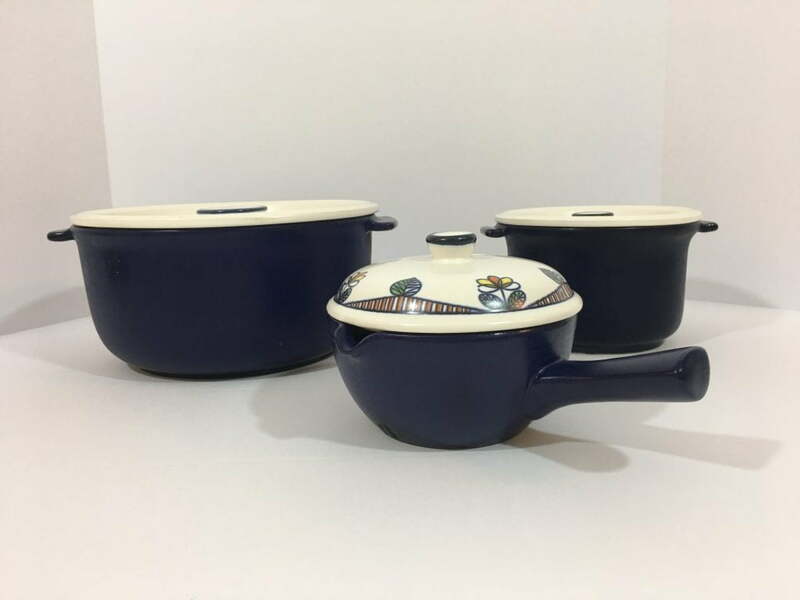 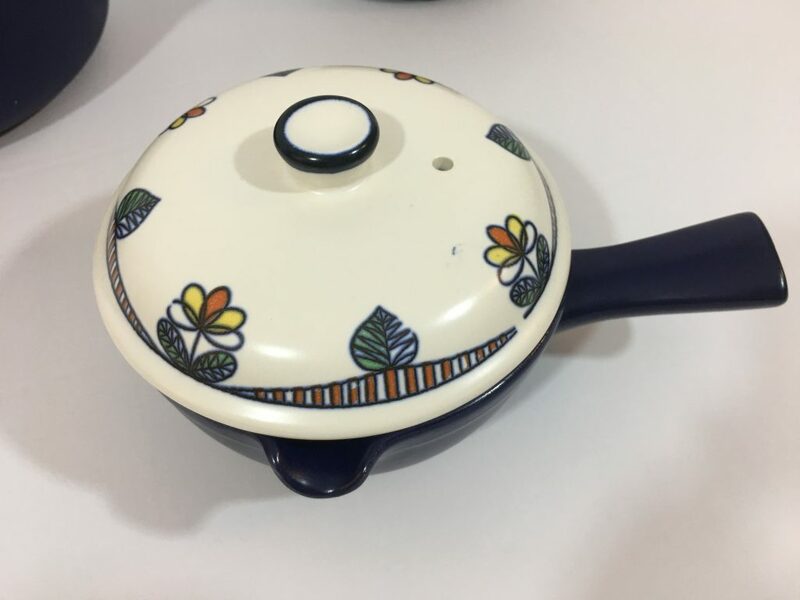 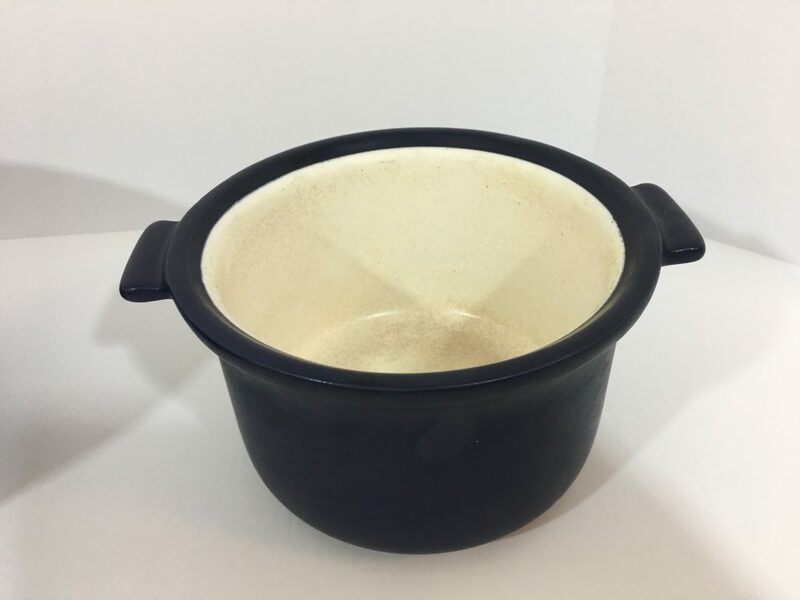 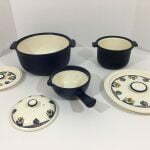 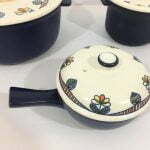 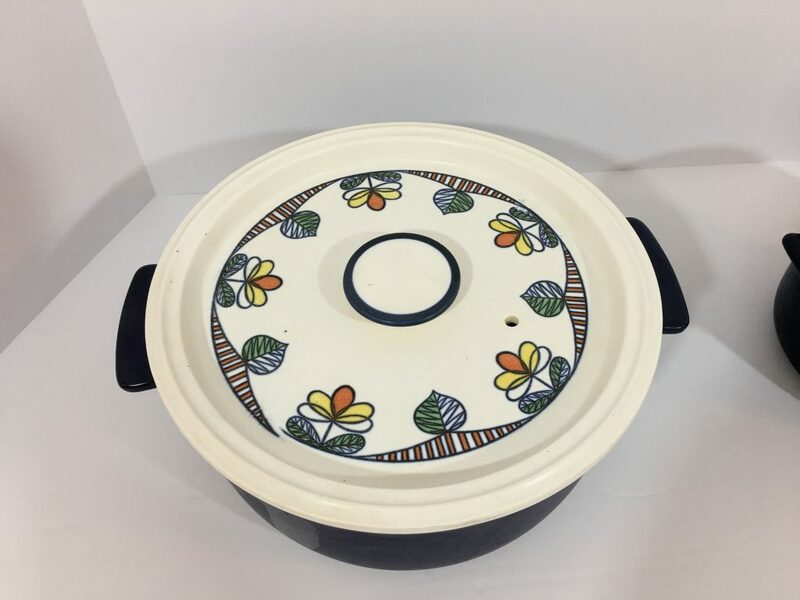 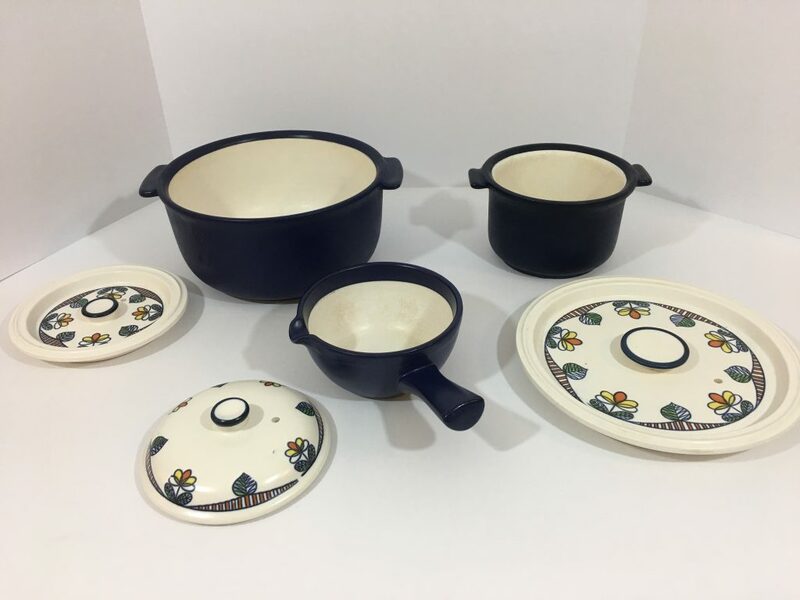 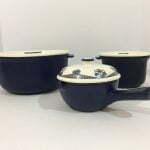 This beautiful set of flame chef ceramic pots comes to you in beautiful condition. 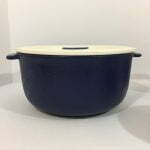 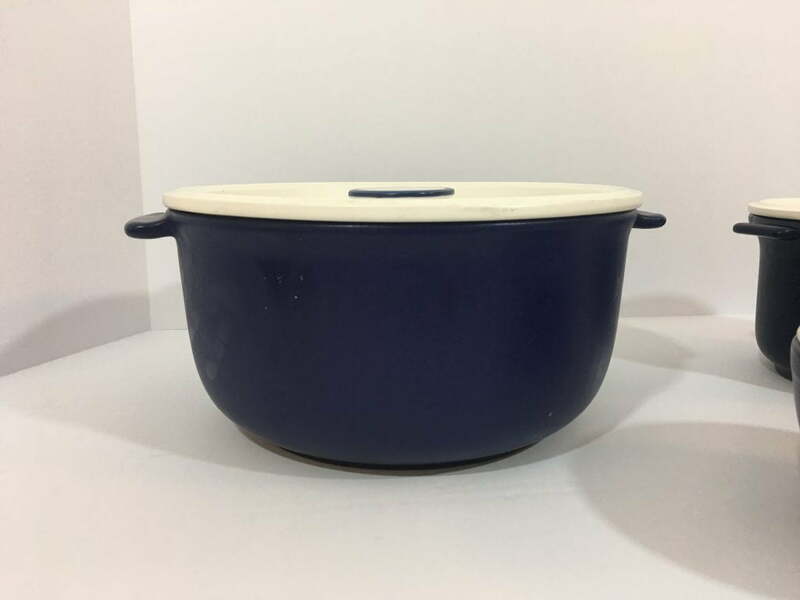 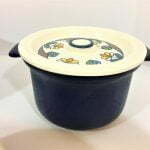 As you can see from the pictures the pots are navy blue and the matching lids have blue and yellow flowers. 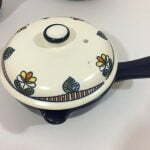 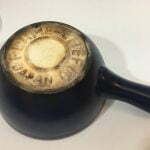 The bottoms are well identified reading Flame-Chef Japan. 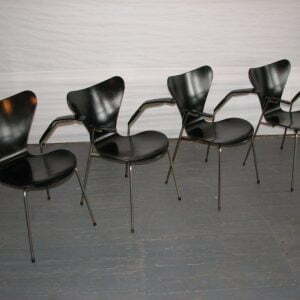 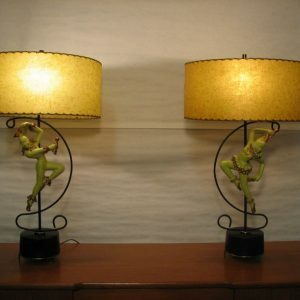 They are just fabulous and they can be yours with a couple of clicks.